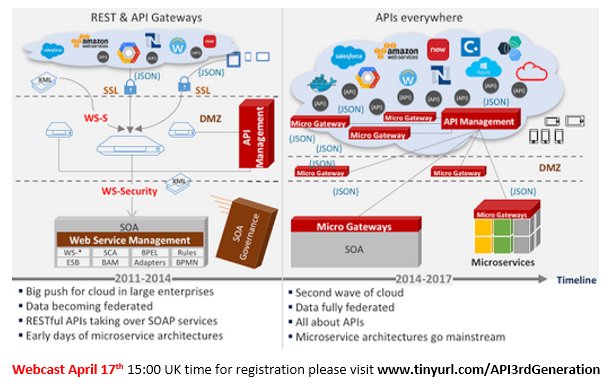 Join this webcast to meet the 3rd Generation Oracle API Platform Cloud Service. In this short session, you will learn how a sleek, intuitive full lifecycle API Platform built on Oracle’s proven gateways will improve productivity and effectiveness in your business. Focus on the full API lifecycle, starting with Design & Governance, all the way through Security, Discovery & Consumption, Monetization, and Analysis, to develop APIs and create modern applications and user experiences. Develop an API-First strategy to accelerate digital transformation, safely extend the reach of intellectual property, and create new revenue streams.